This was the first question on many minds last June, when the Boston Celtics selected a relatively unknown Croatian teenager with the 23rd pick in the 2016 NBA draft. Fans were initially upset. Underwhelmed. A little confused. On TV, ESPN cut to a row of Celtics fans in the crowd at Barclays, giving a double thumbs down. But Zizic was still at least a year away. On draft night that’s another lifetime. The question re-surfaced in the fall, as Zizic was establishing himself as the best big man in the Adriatic Basketball Association. Before you laugh, the ABA is a respectable league. Dario Saric, Jusuf Nurkic and Nikola Jokic are all recent alums. It’s easily one of the 10 best basketball leagues in the world and Zizic was on another level. On October 11, the young center dropped 37 points and 20 rebounds in a single game for KK Cibona. He was named the ABA’s October MVP. By December, still only 19, Zizic led the league in scoring (20.0), rebounds (9.2) and field goal percentage (69.5). Then, the day after Christmas, about a week before his 20th birthday, Zizic made headlines overseas — and back in Waltham — when he signed with Turkish club Darussafaka Dogus. For those who don’t know, Darussafaka is legit. It’s one of the best teams in Turkey’s top league. The third-best league in Europe, according to Fraschilla. For the Celtics and their fans, this was a clue that maybe this kid was a little more developed than once thought. For Zizic, it was an opportunity to cut his teeth against bigger, stronger and just plain better competition. Most appealing? It was a chance to play for former Cleveland Cavaliers head coach David Blatt. Believe it or not, Blatt was equally excited about coaching Ante Zizic. There’s a great video on YouTube, posted around this time last year, of David Blatt speaking to a group of players at Adidas EuroCamp 2016. This event is a pretty big deal in the basketball community. It’s the only NBA sanctioned pre-draft camp outside of the United States. Every year some 50 players from around the world show up, and on this day, Blatt wants them to understand that everything they do is important. Everything matters. Every decision they make in every aspect of their lives can make or break a career. If you only know Blatt from his successful but awkward run with LeBron, he’s a legend overseas. He’s one of the greatest coaches of his generation and an incredibly sharp and insightful guy. “I’m gonna tell you a story,” Blatt says to the packed gym, pacing back in forth. He goes on to recall a day two and a half years earlier, when he was coaching Maccabi Tel Aviv. This was Blatt’s last year with the team. They’d eventually win the EuroLeague championship. But this was early in the season — preseason — a handful of guys were off playing with the Israeli national team. Blatt needed extra bodies for practice, so the GM brought in two kids from Croatia, both only 16 years old. He remembers organizing a scrimmage and watching one of the Croatian kids, a big prospect, struggle with the competition. To this point, Blatt’s tone is relatively subdued. He’s pacing himself. Then he starts talking about the other Croatian kid — and the words and emotions start to build. Blatt pauses for the effect. He’s good at this. Blatt really sells this. He really believes it. Blatt throws an upper cut into thin air. The question re-surfaced in March, but now there was a different ring to it. Annoyed disbelief had been replaced by a tone more curious, almost flirtatious. Who IS Ante Zizic? By then, the big man was already adjusting to life at the next level. He hit double figures in six of his first nine EuroLeague games with Darussafaka. That included three double-doubles. Meanwhile, there were already whispers the Celtics were quickly falling in love — but now they didn’t care who knew about it. They were screaming from the rooftops. Then it was April, and suddenly Zizic was in the EuroLeague quarterfinals, doing stuff like this to Real Madrid. Then it was May, and the Celtics were getting their butts beaten on the block and the boards every game of all three playoff series. They needed a big man. A rebounder. A physical presence in the paint. There was a giant hole in this team’s path to real legitimacy and — who is Ante Zizic? He was the peg. The missing piece. Once a giant question mark, Zizic was now a potential answer. And now it’s June, almost a year since the night the Celtics drafted that teenager from Croatia, and so much has happened. So much is still happening. Everything is happening at once. The Celtics reached the Eastern Conference Finals and have the No. 1 overall pick. Isaiah Thomas became a superstar and suffered a potentially career-altering injury. Name an NBA player and there’s a rumor tying him to the Celtics. And every rumor, one way or another, is tied to one of the current Celtics. And the craziest thing of all? Other than IT’s hip, none of this is bad. It’s good crazy. It’s exciting crazy. There are so many balls in the air and different paths for the Celtics to take. It’s exciting, but a little frantic, and what’s funny is that at this moment, one of the few things we can say with any certainty is that a few weeks from now, Ante Zizic will pack his bags in Croatia and officially join the Boston Celtics. If it’s up to him he’ll play both summer leagues. At very least, he’ll play in one. Of course, there’s the potential for a trade. No one is untouchable. If the Celtics are somehow in the position to land a superstar, and the asking price is Ante Zizic, obviously that’s just the business. Everyone would understand. But look at the Celtics’ roster and you’ll notice a few things. They’re pretty desperate for a big man. The backcourt bargain of the last few years is quickly coming to an end. At least two of those guys are in line for a big raise in Boston. So the Celtics are not only desperate for a big man, they’re desperate for an affordable big man. Having a big man like Zizic, at his age, with his ability, locked in on a rookie deal is incredibly valuable to the Celtics’ cause. It would have to be a pretty damn good trade. Instead it’s far more likely Ante Zizic is here to stay, so … who is Ante Zizic? He’s a kid the Celtics are truly, genuinely excited about. He’s a basketball player. Read that in your best Tommy Heinsohn voice. This kid is a BASKETBALL PLAYER. He loves basketball. He was raised on basketball. His brother Andrija had a prolific professional and Olympic career. Andrija is also 17 years older than Ante, and was already playing professionally when Ante was born. Ante only knew a world where his brother played professional basketball and that’s all he ever wanted to do. Well, he obviously left an impression on David Blatt. But Blatt is not alone. Almost everyone loves the way Zizic plays. They love his motor. His energy. Radja has known Zizic his whole life. Dino admittedly didn’t see much of Zizic after the move to Turkey, but a different former Celtics second-round pick, Mr. Luke Harangody, was keeping tabs. Harangody has spent the last four seasons in Turkey. 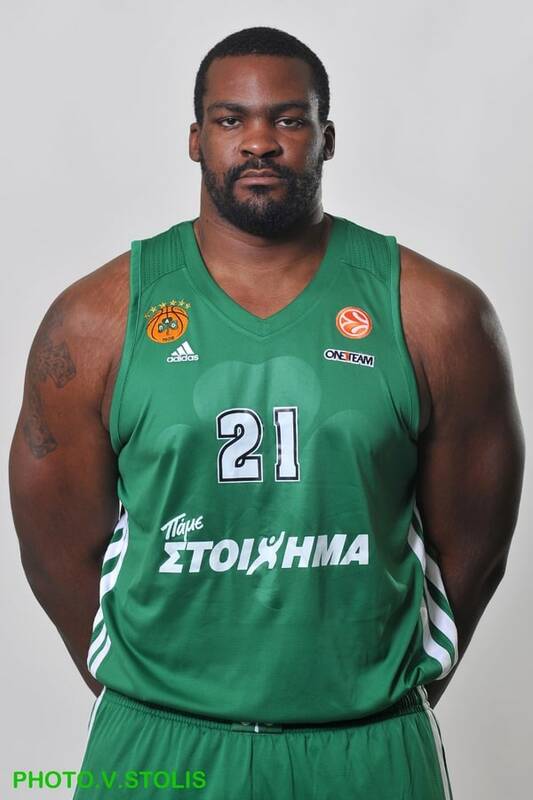 Last year was his second with Darussafaka. Where does this motor come from? Does Ante ever get tired? He’s still a work in progress. On the other hand — and this is probably related to all the time Zizic spent with his older brother — Harangody doesn’t expect emotional maturity to be an issue. And it’s fair to say Harangody is a pretty big fan of Zizic’s game. The answer to that question will ultimately depend on Zizic himself. The jump to the NBA is a big one no matter who you are. There’s no set time table to adjust. But for what it’s worth, Zizic has the right mentality. At the very least, it seems he’s a young, athletic, incredibly strong and unrelenting big man who loves to rebound and run the floor. Eh, let’s not go there yet. Even the very least already feels like more than enough.